About 139 jobs in Shared Services sector. The Communications team is a strategic partner and solution provider to the multiple business functions in Grab – to help them drive their business objectives. business strategy, including corporate partnerships, new products, partner programmes, marketing campaigns and internal programmes. tell the story of Grab’s values and technology. enhances our connection with the Grab community. - Own the end-to-end journey of ideation, creation, distribution and measurement for assigned projects/areas. - Propose and execute distribution and amplification strategies, with regular metrics monitoring and reporting. 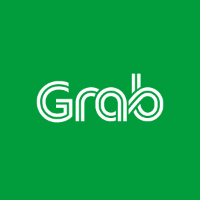 - Reposition relevant media assets for sharing across Grab’s owned channels in partnership with the communications team. Proven ability for creative content ideation and production, especially involving visual and multimedia storytelling, across multiple content formats and social platforms. You would ideally have about 3-4 years of experience. Possess previous experience in visual content production, such as videos, interactive graphics, etc. Prior experience in an agency or organisation managing content marketing will be advantageous. Experience in operating, and maximising the benefits of, content management and amplification systems, specifically Medium and WordPress. Familiarity with design and creative editing tools, such as Adobe Creative Suite (Premiere Pro, Photoshop, Illustrator, AfterEffects). Keen interest in technology and how it helps people and cities. Collaborative team player and self-starter. Have experience working in a regional team. Define vision and key strategies to win (across Grab Verticals) working with Marketing teams and Media Agencies, ultimately generating greater effectiveness and efficiency of our media plans. Lead Annual Media Reviews with Agency and local markets feeding into key decision making processes. Working closely with regional and local teams to plan, execute and measure regional and local campaigns. Develop testing and measurement frameworks that continually provide the business with actionable campaigns media learnings. Develop capability across the marketing teams in SEA. At least 8 years of experience in developing, and executing integrated campaigns across SEA, especially Indonesia. Strong communication and stakeholder management skills (including senior leaders) and an ability to solve problems. Decision-making skills and proven agility, having worked in fast-paced multi-market business. We are looking for initiative and innovative individual to help with our restructuring of our website. And also we have upcoming Apps project which you could be part of the team behind it. Drive the risk management activities, which include conducting annual and on-going risk assessments, identifying risks beyond risk tolerance and working with the Country Operations to implement key findings from the risk assessment results. Putting in place risk control and mitigation practice at operational level. Keep up to date of developments in the regulatory environment. Responsible for timely submission of various regulatory returns. Interact and partner with the Country General Managers and Head of Verticals in the country to influence the design and implementation of adequate controls in existing and new initiatives. Work with Business Process Owners to implement Risk Treatment Plans. Collaborate with the regulators on regulatory returns. Guide the remediation effort of audit issues raised by internal auditors. Approve the remediation effort of risks identified by risk management. Participate in any compliance related investigations. Provide guidance to the country on GRAB’s compliance policies and processes. 10 years of compliance related experience. Bachelors degree in accounting or finance or any equivalent degree. Ability to work independently and drive projects to completion. Good leadership, communication and presentation skills. Able to work well with business owners across all levels, in a dynamic work environment. Flexibility to travel up to 20% of the working time within the countries in SEA. Resourceful, dedicated and takes initiative. Join us the awesome IT team! If you are up to challenges, cutting-edge technologies, and stand-for-the-future DevOps / Sysops environment, Grab is the right place for you! Doing automations and integrations around the core IdP (identity provider). Doing workflow automations and integrations for SaaS systems - HRIS, Messaging etc. Monitor and test performance for potential bottlenecks, identify possible solutions and work with the team to implement fixes and solutions. Write and maintain custom scripts to increase system efficiency and lower the human intervention time of any tasks. Provide 3rd and 4th level support - the escalation from the operation team. Design and develop IT homebrew tools when necessary. Must be a self starter and willing to learn new technologies and systems quickly, and adapt to a super fast-paced, fast-changing environment. Must have Systems (Windows / Linux), Network knowledge. Must have knowledge of LDAP / SAML 2.0. Advanced Powershell / Shell scripting knowledge will be a plus. ITIL knowledge will be a plus. Database knowledge MySQL / Oracle/ PostgreSQL will be a plus. Experience in architecting, designing and supporting AWS / Azure Cloud environment. AWS lambda function experience preferable. Engineering, implementing and monitoring security measures for the AWS and Saas based applications. Advanced knowledge with RESTful APIs and SSO ( SAML 2.0, oAuth etc). Sound knowledge in configuration management tool (preferably Ansible). Exposure to Jira/Confluence will be an added advantage. local market operators across its focus markets. We are incredibly excited about the opportunity ahead of us. We are looking to put together the best possible combination of business build drive, industry expertise and local market depth as part of our team. GFSA team is responsible for end to end conceptualisation, design, development, execution and ongoing management of all lending activities in its focus markets and segments. customer-centric and innovative values to join our growing team. 3 years of software developer background. Experience in REST APIs, SSO ( SAML 2.0, oAuth), and LDAP. At GrabFinancial we believe that upholding trust and integrity is at the heart of doing business with all our customers. to ensure fraud and abuse are kept outside the door. Develop and drive Grab Financial fraud prevention framework for a given risk domain across Southeast Asia (such as wallet transactions, top-ups or withdrawals). Optimise risk actions and processes to achieve highest customer acceptance while minimising losses. Own data for the domain. Perform monitoring, investigations, deep dives and forensics, as well as reporting on the domain. Report facts to senior management in a clear, concise and data-driven manner. Create data-driven strategies to prevent or limit account take-over, credit card fraud, merchant risk, collusion schemes, syndicated fraud attacks. Perform research and use data science techniques (either directly or in collaboration with risk data scientists) to identify fraudulent behaviours. Implement actions such AI models and business rules. Own policy work related to the domain area, inputs to relevant policies and procedures. Act as subject matter expert towards the rest of risk team as well as other company functions such as product and business development. Occasionally conduct training or awareness sessions. Perform individually or lead a small team of junior / senior analysts. Problem-solving, positive and constructive attitude is a must. Comfort in dealing with ambiguity and operating in fast-changing, unstructured environments. Structured, factual and data-driven. Ability to deep dive into data then elaborate clear and synthetic insights. Recognised experience in electronic payments and financial services. Advanced knowledge and experience in e-wallet / online payments abuse (account take-over, credit card fraud, merchant/buyer collusion fraud, money laundering...). Hands-on experience with fraud detection tools e.g. scoring models and rules engines. Knowledge of credit card scheme rules and banking processes preferred. Leadership experience or potential, experience managing a small team is a plus. Design, implement and maintain a world-class data reporting and insights framework across all risk domains. Deliver elegant, exec-ready dashboards and insights. Use advanced visualisation techniques to leverage facts into initiatives to support risk objectives and the business. Lead a small team of junior and senior risk data analysts. Own risk data, ensure necessary databases are maintained for research and regulatory purposes. Get things done across multiple analytics stakeholders within the group to ensure accurate data collection, processing, storage and maintenance. Support risk operational reporting needs such as case management insights as well as workforce management and planning processes. Perform forensics, deep dives, and forecasting, on various risk or business matters. Comfort in dealing with ambiguity and operating in fast-changing, unstructured environment. A passion for data and insights. Ability to make sense of large amounts of unstructured data spread across various tech stacks. Proficient in RDBMS such as PostgreSQL or MySQL. Strong in Tableau or other data visualization tools. Experienced with Zendesk or similar case management systems is a plus. Meticulous attention to detail and double-checking as a second nature. Sound knowledge in e-payments and fintech, and related fraud, desired but not absolutely required. Good verbal and written communication in English and ideally one local SEA language. Knowledge of credit card scheme rules and banking processes is a plus. Collaborate with product, engineers and partnerships to identify new opportunities to expand Grab’s universe of data by identifying and collecting adjacent data to enrich insights. Design market intelligence metrics and performance measurement dashboards. Manage end-to-end data projects; identify issues, gather information from various sources, analyse data, interpret patterns and trends with the purpose of generating insights about the market. Build strong relationship with management and operational executives; translate data speak to human speak in order to effectively conceptualise analysis and proposing solutions to business stakeholders with the purpose of enhancing operational performance. apps releases snappy, easy, and reliable. You will work daily in a multidisciplinary team, always pushing the bar of technical and operational excellence, in an environment where continuous improvement, fail-fast, and data-driven decision-making are first class citizens.